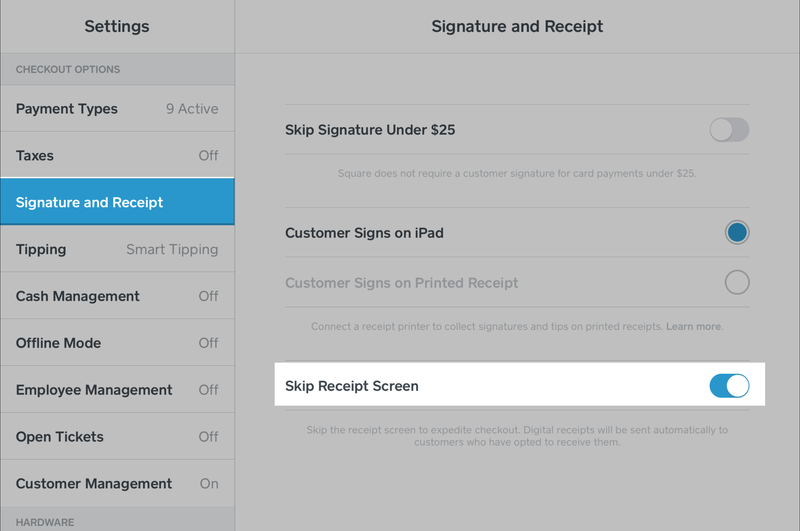 Disable the Receipt Screen on the Square App – How can we help? As you have the ability to print and email receipts from Vend, you may want to disable the receipt screen in the Square app for an even faster checkout. 1. Open the Square app and go to Settings -> Signature and Receipt. 2. Tap the toggle for Skip Receipt Screen to turn it off. The receipt screen will no longer show up in Square so you can print or email receipts from just the Vend app going forward. For more information on Square and Vend, check out these articles.